If you’re having difficulty deciding what plants you should add to your betta tank then you’ll be pleased to know anubias is a great choice. Anubias and bettas are a common sight in many tanks! And bettas love them as well. 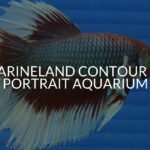 Keep reading to find out why bettas like them so much, as well as everything you need to know to take care of them! 2 What Does Anubias Look Like? 3 Do Bettas Like Anubias? 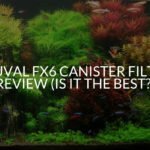 9 Should You Keep Anubias And Bettas In A Tank? Anubias is an aquatic plant that comes from Western Africa. It can grow either fully submerged or partially submerged, and it is normally used near the bottom of tanks. 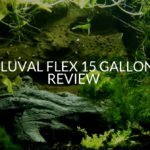 It’s a great plant for beginner fish keepers because it’s so easy to maintain. But more experienced betta keeper love it too! While there are many different types of anubias, the one that we’re going to talk about in this article is dwarf anubias. Because it is the most commonly used anubias in aquariums. 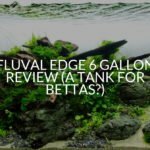 While it’s normally used to cover the bottom of a tank, it can still benefit for your betta! What Does Anubias Look Like? The first thing you’re going to notice about anubias is its beautiful dark green coloring and delicate teardrop leaves. However, don’t let the leaves put you off. While they are thin they’re also covered with a special cuticle which makes them stronger and more durable. Asides from the leaves they also have a thick green stem that is most often planted into the substrate. However, it can also grip onto driftwood and rocks. You’ll most often see anubias at the bottom of the tank. They only grow about 7.5 inches in length, and this isn’t straight up. This is one of the reasons it’s often used to improve the look of the substrate or the bottom of your tank. If you’re lucky enough you may even see your anubias grow flowers. This is more likely to happen when anubias is only partly submerged, but it can also happen when it’s completely underwater. If it does then you’ll be greeted with a beautiful soft white flower which will stay for 2-3 months. 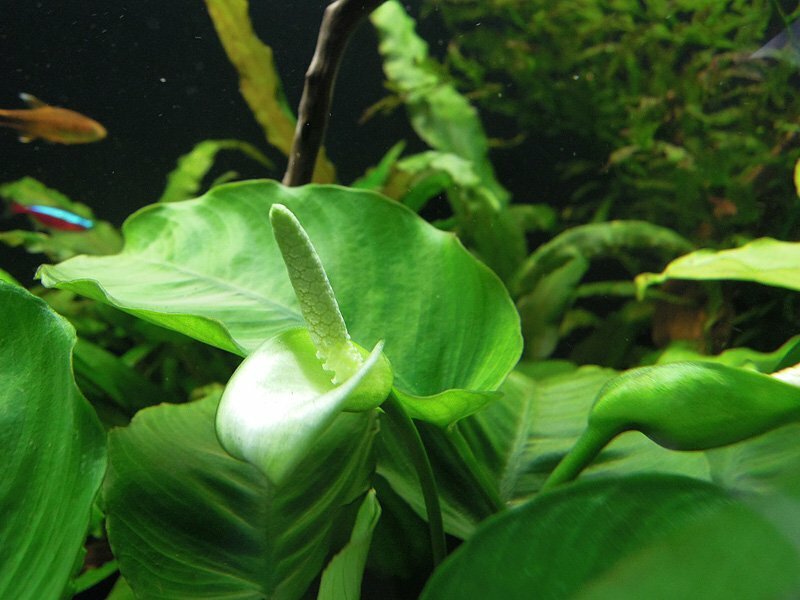 Anubias flowering is more likely to happen to plants that have been undisturbed and allowed to grow for a while. Near the bottom of the stem is where you’ll see the brown rhizome and, underneath that there’ll also be white roots that bury into the substrate or grip onto driftwood and decorations. Strong dark green coloring all over. If you notice that the color is deviating in some areas from dark green, especially to brown or yellow, then you should avoid the plant and find a healthier one. This is a sign that there’s something wrong with the plant. And if you introduce it to your aquarium it could affect the water conditions. Just like any other plant make sure the stem isn’t drooping. This is a clear sign of an unhealthy plant. In fact, it shows that the plant is so weak it can’t even support the weight of its leaves. And lastly, while not as bad you should try to pick a plant that isn’t too damaged. While damage isn’t the sign of disease in most cases it’s going to make it harder for your anubias plant to photosynthesize. Bettas don’t just like anubias, they love it! Here are a few reasons your betta will love anubias. When bettas get tired you’ll often to see them laying on top of things. And one thing they love to lay on is anubias leaves. If you add a few to your tank, then before you know it you’ll see your betta taking a time out on them. Providing him with this place to rest is going to improve his mood and make him enjoy his tank more! Anubias is also going to give your betta somewhere to hide. Bettas need to have time to themselves, but they need to do so in solitude. Because they are solitary fish and don’t school, it can be scary for them to rest safely. This is why it’s good to give them hiding places. Adding anubias to your tank is going to give him plenty of places to hide and feel safe. And if he’s well-rested not only will he be happier but his immune system will be stronger as well! If your betta is in a tank with other fish he may attack them depending on his temperament. If you have enough anubias in your tank, you may be able to hide other bottom-dwelling fish from him. While I wouldn’t recommend doing this, it can be a good solution if you can’t move the fish somewhere else. 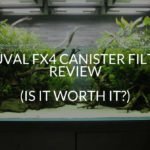 While plants are a lot easier to look after than fish, you’re still going to need to make sure that certain parameters are met. If you don’t it means that your anubias may grow slower, not grow at all and in some cases, start to die. The most parameters you need to get right are the lighting, temperature, pH, and hardiness. Because anubias grows in Africa it’s important that you have a heater in your tank (contrary to what some people say bettas will not survive without a heater in most cases) as well as good lighting. As well as this it’s often better to have a nice substrate in your tank, but it’s not completely necessary. pH and temperature are the most easily measured conditions. All you need is a pH testing kit and thermometer. Both of which are incredibly cheap. When setting up your tank for anubias and bettas you should try to keep the temperature as close to 78°F as possible. While anubias can survive in temperatures between 72-82°F bettas prefer temperatures between 76-80°F, with 78°F being the ideal. Next is the pH. Once again you should try to cater to your betta because anubias can thrive in a bigger pH difference. 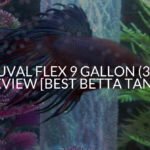 In any betta tank, you should try to keep the pH at 7. This is going to be perfectly fine for your anubias plant because they do well in water with a pH between 6 – 7.5. If you have to pick between a slightly acidic tank or slightly alkaline tank, you should go for a slightly acidic tank. Water hardness is often avoided by a lot of aquarists because it’s confusing. The hardness of the water is going to affect the pH so as long as the pH is stable and where you want it normally the hardness will be fine. With that being said, luckily anubias and bettas can thrive in a wide range of water hardness levels. But for them to thrive you should try to keep the water hardness between 3-8KH. And lastly, the type of lighting you choose is going to affect anubias in different ways. But, first of all, you’ll be pleased to know that anubias can survive with just standard lighting. You don’t need anything too intense. But if you do want a more intense light, you’re going to get the benefit of the anubias growing much faster than it would in other conditions. This comes with the catch 22 of more algae growth though. Also, you should make sure that your lighting isn’t affecting your betta. While it may be nice to have an anubias plant that is growing quickly, make sure your tank isn’t too bright for your betta. If it is you may notice him becoming stressed which will weaken his immune system and damage him. And lastly, it’s important that you don’t put anubias in a tank that’s too small. Luckily because anubias is a small plant you don’t need a tank that’s massive. As long as you stick to something that’s 10 gallons or bigger you’re anubias will be happy. 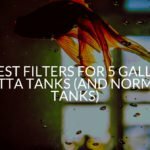 Here are some of the best 10-gallon tanks for betta fish that will be great for housing anubias. Planting Anubias isn’t difficult but there are some things that you need to watch out for. Otherwise, your anubias isn’t going to grow as well as it should. First of all, make sure you don’t bury the rhizome under the substrate. The rhizome is the brown part at the bottom of the plant, where the roots grow from. While you want the roots to dig deep into the substrate you want the rhizome to sit on top. The substrate you plant your anubias in isn’t super important. However, it’s always a good idea to use a substrate that is nutrient rich. Secondly, make sure that wherever you plant your anubias that it’s going to have access to enough light. Because it most often grows near the bottom of your tank it can be easy for it to become overshadowed. If this happens it won’t grow as much because it’s leaves need enough light to photosynthesize. And lastly, make sure you aren’t planting too many anubias plants close together. If you do this, all the nutrients will be taken out of the substrate and water before it has time to recover. This will affect all the plants and could cause most of them to die. If you want to keep anubias and bettas together then it can be good to attach anubias to ornaments. The benefit of this is that it’s going to be higher up in the tank. Once it’s higher up it’s going to be more likely that your betta will want to rest on it. Doing this is exactly the same as the way you attach java moss and java ferns to ornaments. First of all place the rhizome on the whatever you want the anubias to grow on. Once you’ve done this tie it in place with fishing line, or anything non-toxic. Then all you have to do is leave it. Over the next few weeks, the roots will begin to attach around the ornament until the fishing line is no longer necessary. At that point, you can carefully cut it off with some scissors. As long as you’re taking good care of your betta your anubias should be fine. One of the most important things is performing frequent water changes for your anubias and betta. Frequent water changes are going to remove any pollutants from the tank as well as dilute the ammonia levels. On top of this, it’s going to replenish the tank with minerals and nutrients. You will need to trim your anubias when you think the stems are getting too long. However, that may only be every couple of months. It all depends on the amount of nutrients and light in your tank. And lastly, if you think your anubias isn’t growing enough then you should add some fertilizer to your tank. A good fertilizer in combination with good lighting is going to make all the plants in your tank healthy and strong. Algae is going to be bad news for both anubias and bettas. And you should be doing everything you can to get rid of it. However, one thing you need to watch out for is that algae doesn’t start growing on your anubias. If algae start to cover the leaves then the anubias will be unable to photosynthesize. 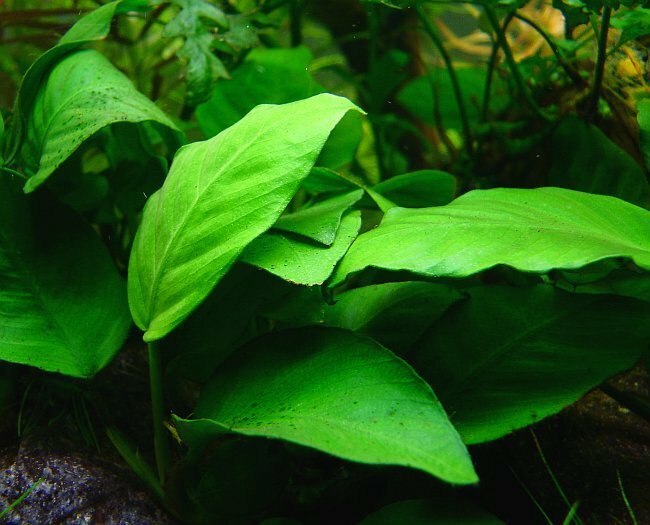 Anubias are particularly susceptible to algae growing on their leaves because of the slow growth and large surface area. One of the best ways to prevent this from happening is to make sure the light in your tank isn’t too bright. This is one of the main causes of algae in betta tanks. Secondly performing regular water changes is also going to reduce the chance of algae growing in the tank. And lastly, if you place your anubias plants in front of the current from your filter or air bubbler to keep them moving then it’s less likely algae will grow on them. Also, as a side note, you could consider adding hornwort to your tank. Hornwort is allelopathic, which means that it’s going to release chemicals in the tank that inhibit the growth of algae. However, it can also inhibit the growth of other plants. 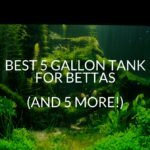 Should You Keep Anubias And Bettas In A Tank? As you’ve probably realized already you should definitely add anubias to your betta tank. 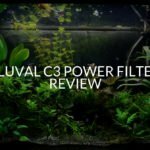 It’s a great plant for bettas and it’s easy to maintain! If you want to add anubias to your tank here are some of the main points you should remember. You should always buy the healthiest plant. Look for dark green coloring all over, and avoid yellow and brown, ensure the stem isn’t drooping and pick a plant that doesn’t look damaged. Bettas like anubias because it gives them somewhere to rest, somewhere to hide and it also has the benefit of being a hiding place for other fish. Anubias can survive in temperatures between 72-82°F and in a pH between 6 -7.5. The stronger the lighting is in your tank the quicker your anubias will grow. However, it can survive fine in low lighting. Anubias should be kept in a tank that’s at least 10 gallons. When planting your anubias make sure you don’t bury the rhizome, and let the roots attach to things in the tank. Otherwise, they can die. Make sure you’re performing regular water changes, so there are enough minerals in the water. You should also make sure your anubias is getting enough light. One thing to be cautious about is algae growing on your anubias plant. 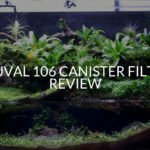 If you think this is going to happen then place the plant in front of your filter. The constant current will make it hard for algae to start growing on it. If you liked this article then be sure to check out the rest of the website. Otherwise have a great day.